Ing. 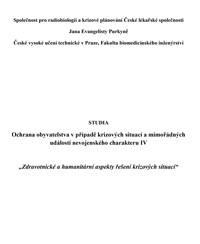 Jiří Halaška, Ph.D., PhDr. Mgr. 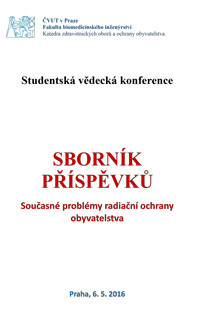 Rebeka Ralbovská, Ph.D. a kol. Recenzenti: prof. Ing. Gustav Šafr, DrSc., Mgr. 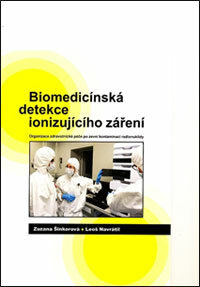 Renata Havránková, Ph.D.
Pdf vybrané publikace a dalších článků na uvedené téma (celkem 35) k dispozici na vyžádání u autorů (hofer@ibp.cz). 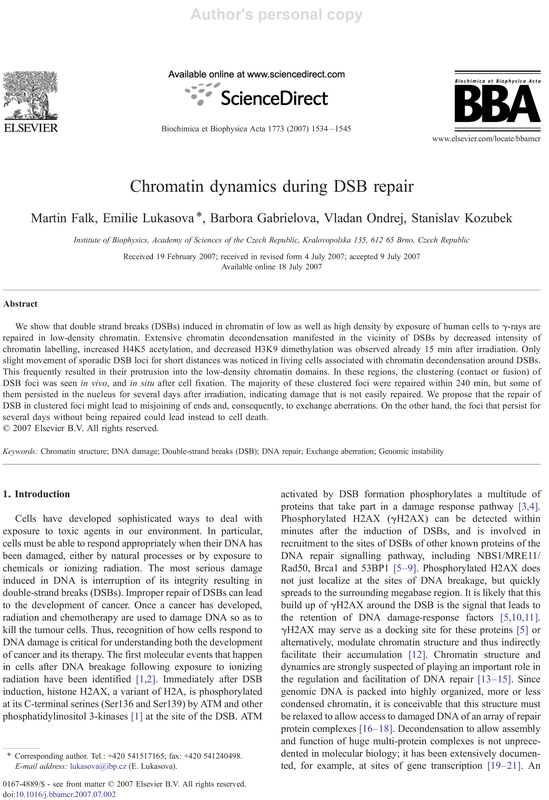 Vávrová J, Zárybnická L, Jošt P, Tichý A, Řezáčová M, Šinkorová Z, Pejchal J.
Chromatin dynamics during DSB repair. 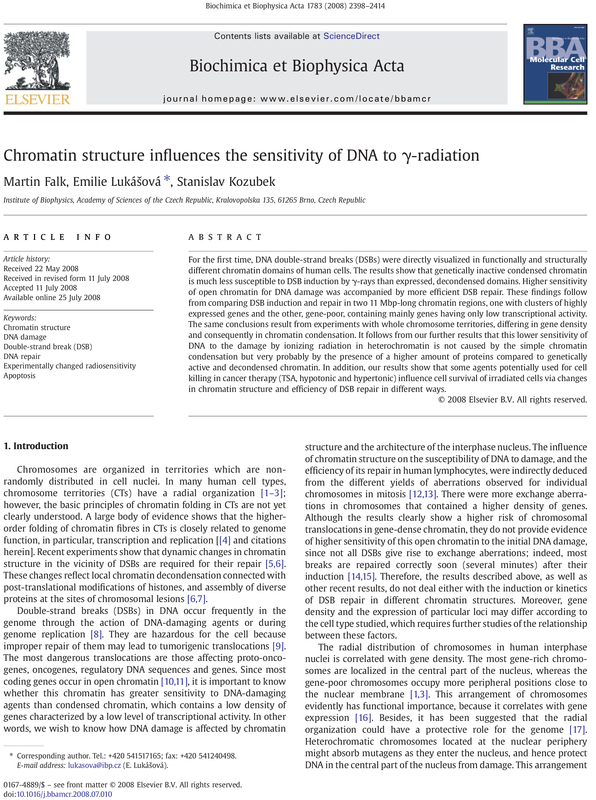 Falk M, Lukasova E, Gabrielova B, Ondrej V, Kozubek S.
Chromatin structure influences the sensitivity of DNA to gamma-radiation. 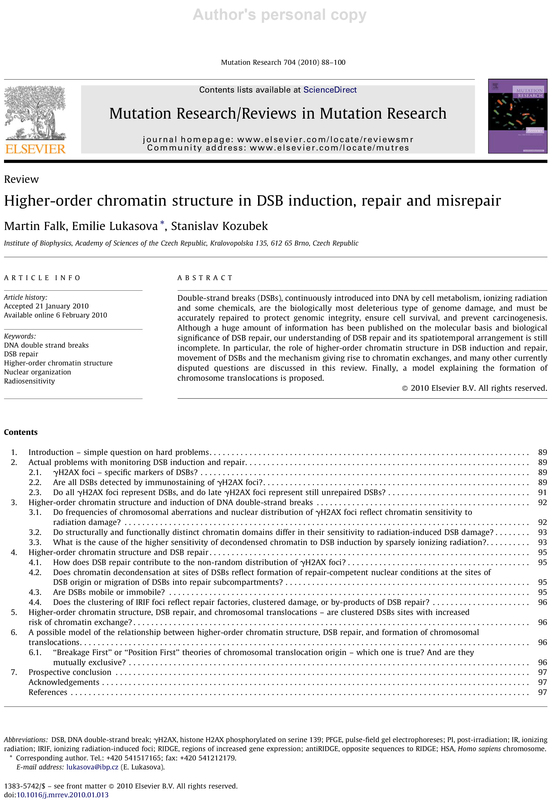 Falk M, Lukášová E, Kozubek S.
Higher-order chromatin structure in DSB induction, repair and misrepair. 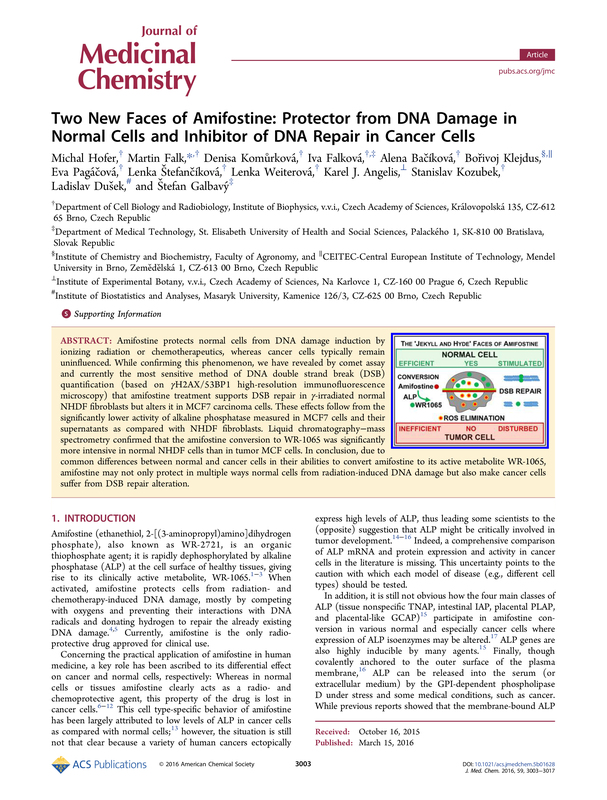 Falk M, Lukasova E, Kozubek S.
Two New Faces of Amifostine: Protector from DNA Damage in Normal Cells and Inhibitor of DNA Repair in Cancer Cells. 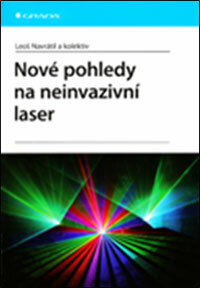 Hofer M, Falk M, Komůrková D, Falková I, Bačíková A, Klejdus B, Pagáčová E, Štefančíková L, Weiterová L, Angelis KJ, Kozubek S, Dušek L, Galbavý Š. We readdressed the radioprotective effects of amifostine on normal and cancer cells, respectively, by using currently the most sensitive methods to detect and quantify DSBs. 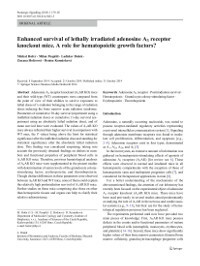 Amifostine not only protects normal cells from radiation (DSB) damage, it also negatively affects DSB repair in cancer cells. 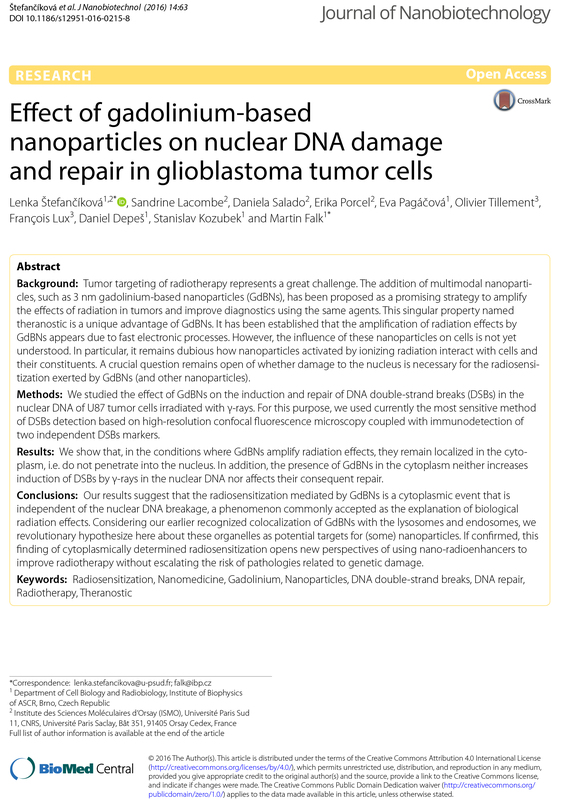 Štefančíková L, Lacombe S, Salado D, Porcel E, Pagáčová E, Tillement O, Lux F, Depeš D, Kozubek S, Falk M.
Effect of gadolinium-based nanoparticles on nuclear DNA damage and repair in glioblastoma tumor cells. 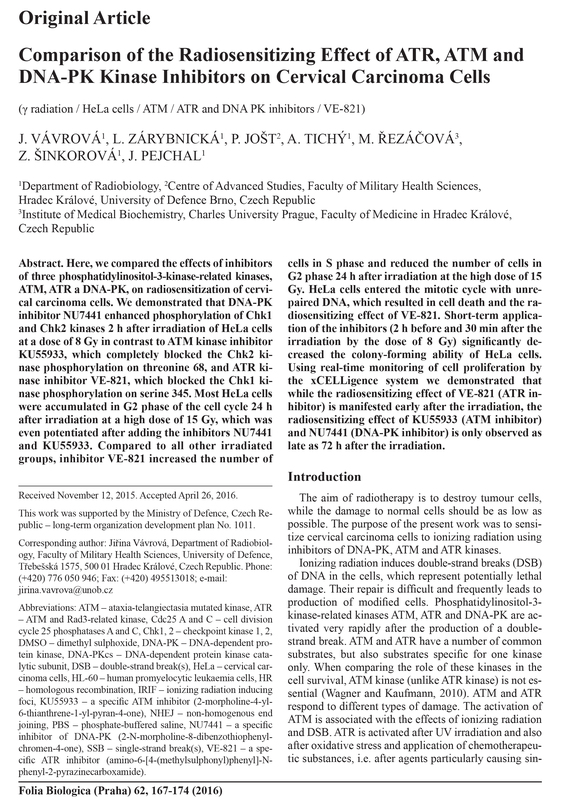 Our results suggest that the radiosensitization mediated by GdBNs is a cytoplasmic event that is independent of the nuclear DNA breakage, a phenomenon commonly accepted as the explanation of biological radiation effects. Considering our earlier recognized colocalization of GdBNs with the lysosomes and endosomes, we revolutionary hypothesize here about these organelles as potential targets for (some) nanoparticles. If confirmed, this finding of cytoplasmically determined radiosensitization opens new perspectives of using nano-radioenhancers to improve radiotherapy without escalating the risk of pathologies related to genetic damage.